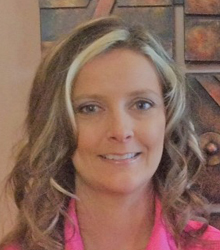 Teresa began her career in the dental field when she joined our office in 2006. She is one of the first to meet our patients when they come in for a consultation or exam. She is the smiling face at the front desk who helps with appointment scheduling, financial arrangements, and explanation of treatment plans to our patients. Teresa currently lives in Newark, but was born and raised in Oswego. She is married and has two sons and a dog. In her free time, Teresa enjoys reading, shopping, going to the movies, and spending time with her family. Suzi is the head assistant in our office. She is responsible for assisting with patient care, taking X-rays and photos, fabricating retainers, ordering supplies, and helping patients with the financial side of their treatment. Her favorite part of the job is seeing the difference a beautiful smile can make in her patients. 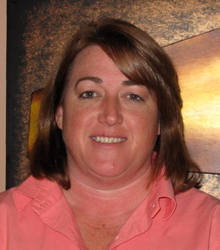 After beginning her career in the dental field in 1999, she joined our team in 2002. Suzi married her wonderful husband Jim in 2000. They have two beautiful girls, Nikolette and Savanna, and a Corgi/Tibetan Spaniel named Toby. In her spare time, she enjoys coaching her daughters’ football cheer team, fishing, boating, and running a taxi service for her girls’ activities. Michelle loves that no two days working in our front office are ever alike. 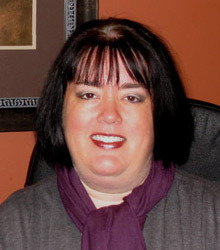 She handles day-to-day operations and makes our office run as smoothly as possible. She enjoys the challenges that each day brings, and appreciates that Dr. Michaels and the staff always put patients first. 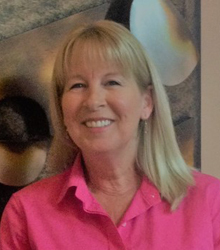 Having worked in the dental field since 1999, she joined our team in 2010. Michelle enjoys spending her free time with family, friends, and her rescue dogs. She has been involved in dog rescue for almost 15 years and devotes her free time to the cause that is near and dear to her heart. Lorie assists Dr. Michaels with orthodontic treatment. She enjoys keeping patients informed throughout the course of treatment about necessary dental procedures. Her favorite part of her job is seeing the amazing changes in patients’ smiles and the confidence they gain. Lorie loves spending time with her family. She also enjoys bicycling, being outdoors, and do-it-yourself projects.